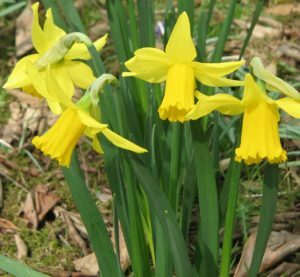 Now’s the time to think spring; to conjure thoughts of yellow daffodils and bright tulips, of hyacinths and even the crocuses of late winter. November is an ideal time to plant flower bulbs for most parts of the state. Selecting quality bulbs and planting them properly is important, but so is planning ahead. When choosing a site to plant bulbs, think about how the flowers will blend in with the rest of your landscape, and even how they will go with other bulbs you have planted. Alliums, crocuses, and scillas, for example, are early bulbs, often breaking ground in March when your yard will probably have a barren winter look. Tulips, hyacinths, and daffodils begin to bloom around April. Remember to put taller flowers behind shorter ones. Small bulbs should be planted about 5 inches deep, while large ones should go about 8 inches underground. Measure from the bottom of the bulb to the soil level. And be sure to loosen the soil beneath the bulbs. The distance between bulbs should be 4 to 6 inches for large bulbs and about 1 or 2 inches for small ones. The winter cold helps bulbs by triggering dormancy, so avoid planting them near heated basements. For the same reason, bulbs grow better in areas that don’t get direct sunlight during the middle of the day. gardens or even sprinkled in wooded areas. When selecting bulbs, choose those that are firm to the touch. Loose skins and small nicks aren’t a problem, the nicks might even encourage rooting. Up until the time you plant the bulbs, keep them where the temperature does not get above 65 degrees. Don’t plant until the soil temperature drops below 60 degrees. Fertilize bulbs in the fall only or in the fall and again in the spring. During planting, incorporate one rounded tablespoon per square foot in the rooting area of the dug up soil. In the spring, fertilize as soon as shoots break ground.